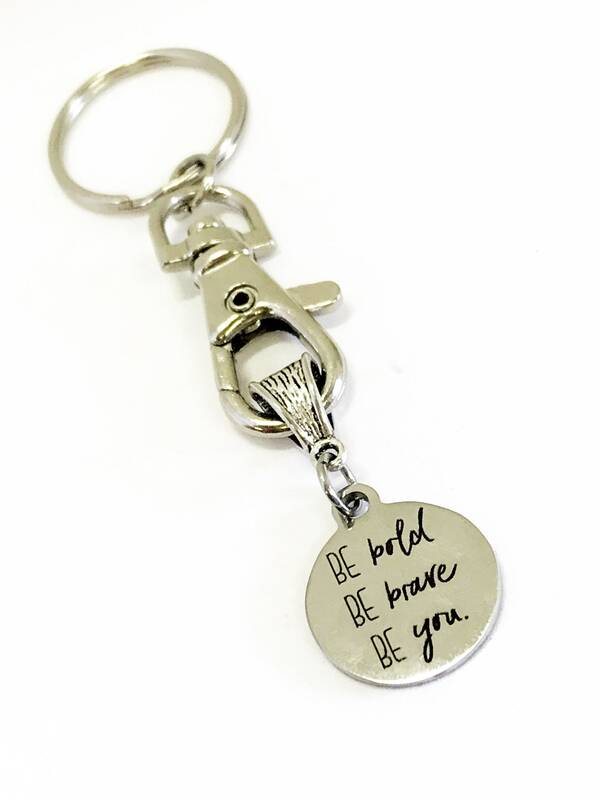 This keychain would make a great gift to remind someone to always be themselves. 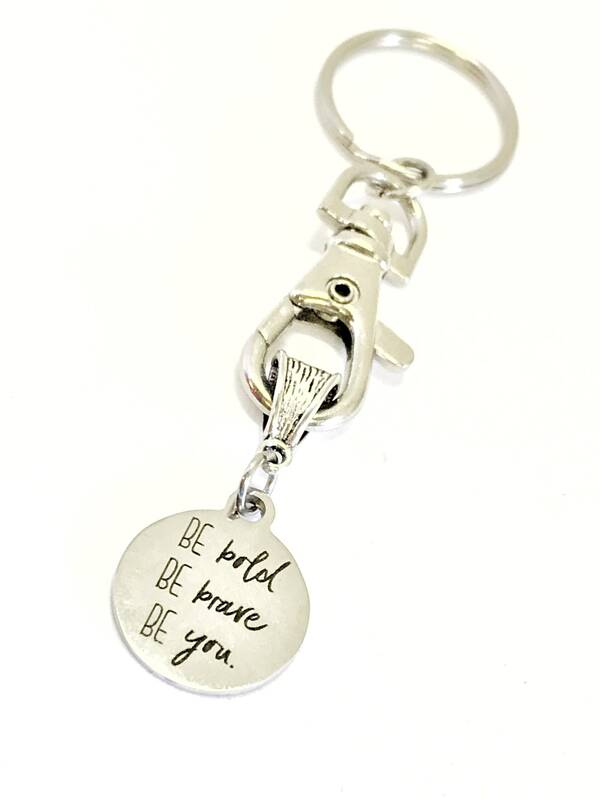 It has a stainless steel laser engraved charm with “Be bold Be brave Be you” on it. 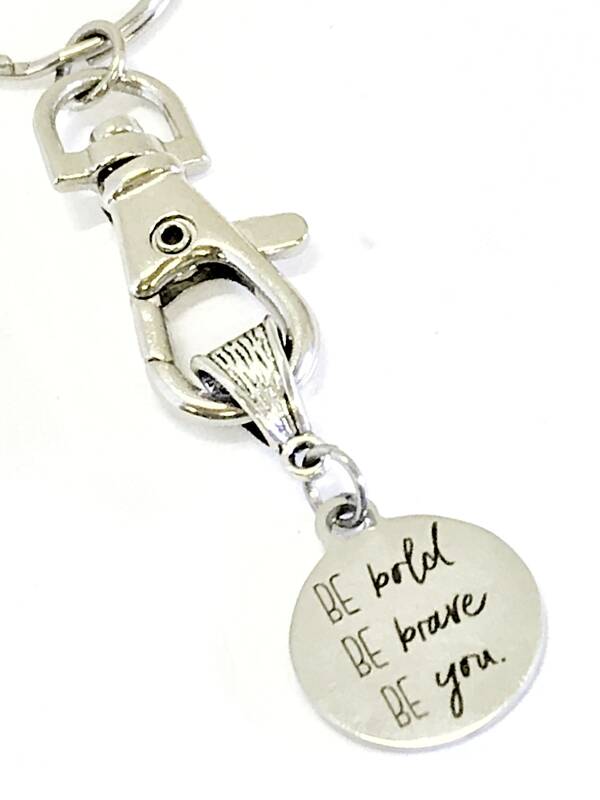 This item is a multi-purpose convertible piece and the pendant piece of this keychain can be "un-clipped" to wear on a chain or necklace if desired. 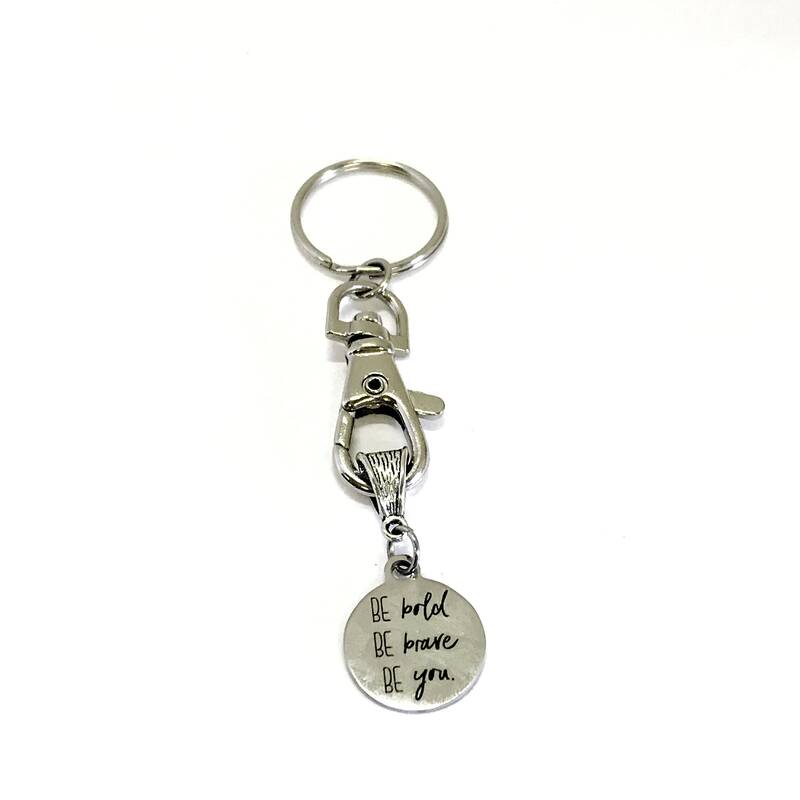 Each keychain comes individually gift boxed. 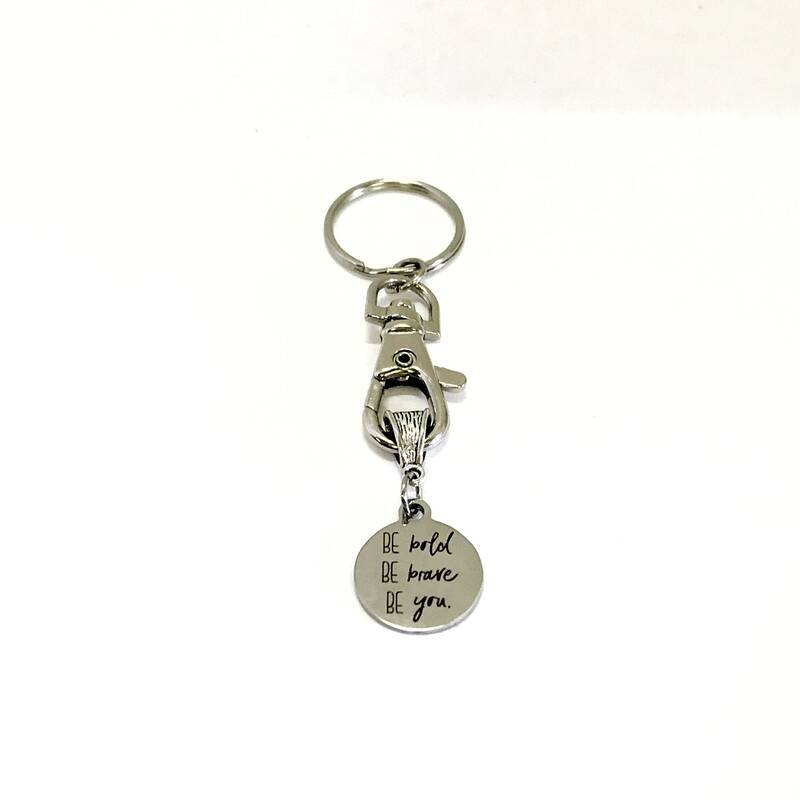 This item contains small pieces and is not intended for children under the age of 14.